Like the pirate code, expiration dates are more of a rough guideline for when food might go bad. 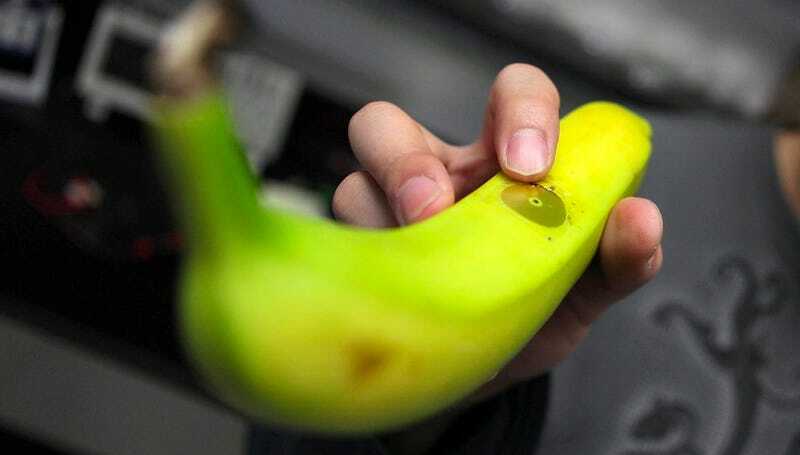 But a new edible sensor made from silk and gold leaf takes the guesswork out of whether something is safe to eat. Besides luxurious bed sheets and stylish shirts, in certain forms silk is perfectly safe to eat. And paper thin gold leaf is used on fancy desserts all the time. So the components of this sensor aren't particularly exotic, or gag-inducing. Developed by scientists at Tufts University, the gold in the sensor is able to detect the chemical and physical changes of food as it ripens and rots, and produces a unique electromagnetic signal that can be picked up and translated by a reader. One day a simple wave of your smartphone could let you know that yogurt has gone bad before you stick a spoonful in your mouth.